Air New Zealand has been struck by its second turnaround drama within a week. Flight 289 was forced to turn back midway through its flight to Shanghai last night, according to passenger Eric Hundman. Hundman, an assistant professor at NYU's Shanghai campus, told the Herald the flight took off from Auckland as scheduled close to midnight last night but "midway through our flight, the pilot informs us that Chinese authorities had not given this plane permission to land, so we needed to turn around. A permitting issue, supposedly," he said. The flight returned to Auckland about 9.30am this morning, Hundman said. Shortly after 11.30am this morning, Hundman was sent a text from Air NZ saying: "As you were advised onboard, the aircraft operating your flight did not have regulatory approval to land in China and was required to return to Auckland." An Air NZ spokeswoman told the Herald: "NZ289 Auckland to Shanghai returned to Auckland around four and a half to five hours into its journey after it was discovered a technicality meant the particular aircraft operating this service did not have Chinese regulatory authority to land in China. "Customers will be accommodated for the day at hotels or at the airport's Strata Lounge before they depart for Shanghai on a special service at 11pm this evening. "We know customers will be deeply disappointed and frustrated by this situation and we are very sorry for the disruption to their travel plans." Hundman said he was "stunned if Air NZ had allowed a plane full of passengers to take off without being quite sure they would be able to land it in Shanghai". The Air NZ spokeswoman says, "It is normal process to get a flight plan cleared by local authorities prior to departure and this was done on this occasion and was approved by Chinese Authorities. Unfortunately, it was discovered during the flight that this particular aircraft did not, in fact, have the necessary permit to land." Reparations offered so far had been meagre, Hundman said. "We were given hotel vouchers for the Crowne Plaza, $30 of meal vouchers for use at the airport, and taxi vouchers." There had been no compensation offered for time lost or hassle, he said. Hundman was allowed out of the airport to rest at the Plaza because he had a visa. Those who did not had to camp out at the Strata Lounge - the so-called "second class" option. He said passengers were woken up by the pilot with the turnaround announcement four or five hours into the flight. He was one of a handful travelling business class, so could only gauge the reaction of a handful of passengers around him, but says all were shocked. The incident comes just days after an Auckland-Queenstown flight was forced to turn around, and claims passengers were "losing their minds" amid poor communication and a five-hour delay. More details of that flight emerged today. This originally appeared on NZ Herald and has been republished with permission. 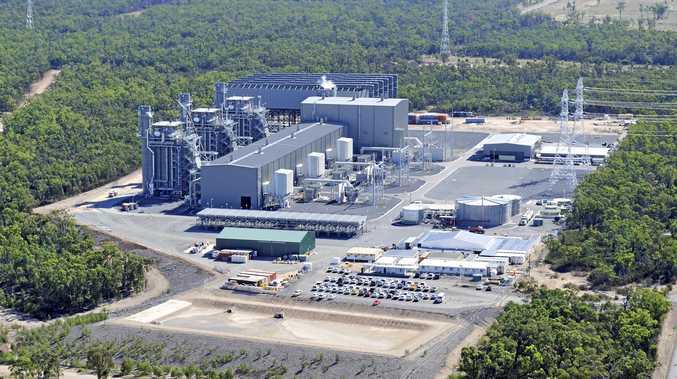 News Workers at the Darling Downs Power Station have launched industrial action after failing to reach a new enterprise agreement with Origin Energy. News ADRA Op Shop has raffled off some fabulous Easter goodies.